Dogs are welcome to join you on-leash at this lovely inlet which also includes a dog hose down area, showers and bathrooms. This park has five ecosystems represented within it, elevated boardwalks, picnic pavilions, nature trails, an observation tower, and more. 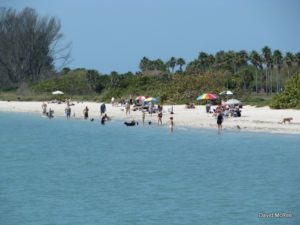 There is a short walk to the beach on the inlet side, if you prefer the sandy beach side it is a bit of a walk, although the walk is like a nature trail. 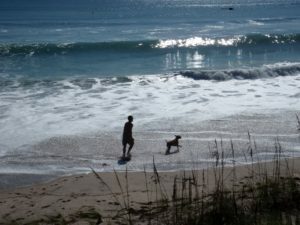 The inlet side is a bit crowded as there is not a lot of beach to find a spot, the sandy beach side is usually not crowded and there is plenty of room to run and play. Parking is $10 for the day or $20 for an annual pass. Although there is a large parking area it can fill up quickly on the weekends. This 9.1-acre community beach park includes a small pavilion, grill, picnic shelter, benches along the crossovers, restrooms, drinking fountain and outside showers. One of the 3 dune crossovers is wheelchair accessible. All dogs must be on a leash and must wear tags showing their current license and vaccinations. There is no cost to use the Dog Beach. This park has awesome beaches and a wonderful view of Ponce Inlet Lighthouse. It is a great place to get some wonderful photos. This is not an off-leash park. So make sure Fido is leashed at all times. Leashed dogs are allowed on the inlet and river shoreline beach Lighthouse Point Park located on north side of Ponce de Leon Inlet. Dogs are not allowed on the beach except service animals. There are restrooms, picnic tables, vending machines, and showers available. Although fishing is allowed, fishermen are usually respectful of dogs playing. 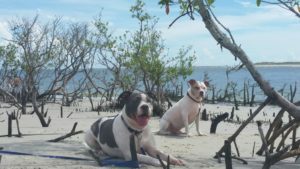 The Fort De Soto Park has large fenced areas for both large and small dogs. 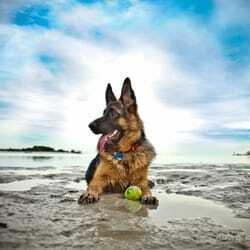 Dogs are allowed on the beach and off-leash in the Paw Playground area only. Dogs are allowed anywhere else in the park on a six-foot leash. On a hot summer day, you can cool off your dog by hosing him down, and drinking water is available too. 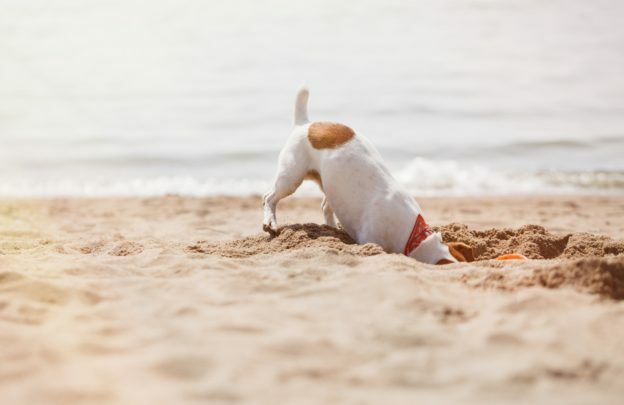 Although weekends tend to be a little crowded, most are responsible dog owners who keep a close eye on their pets and pick up after them. Parking here is $5. 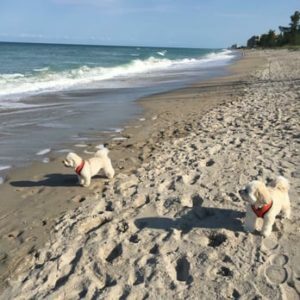 The park also has plenty to do for humans, there are picnic areas, an old Spanish fort to explore, gorgeous parks, and overnight camping with plenty of amenities. The north beach was named “America’s #1 Beach” in 2008 & 2009 by TripAdvisor. This off-leash dog park is on 24 acres of beach. There are covered picnic tables, restrooms, showers and plenty of room to roam. 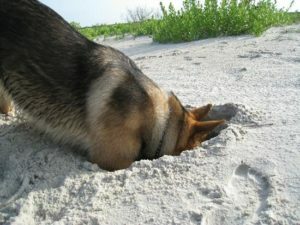 It is usually not crowded here so there is plenty of room for the more shy pooches to find a good spot to play.